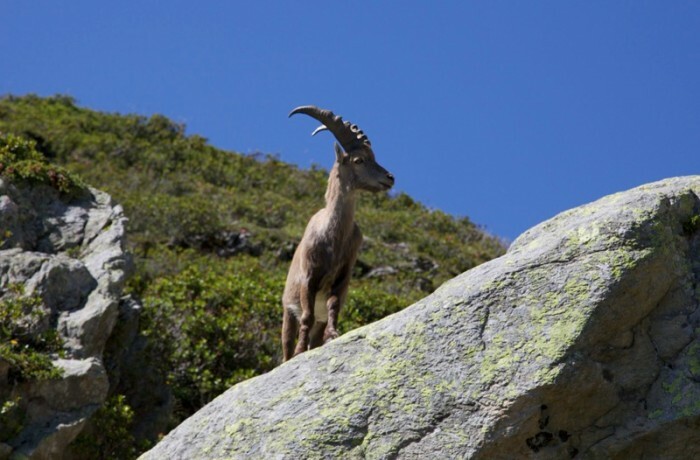 The legendary mountain goat can often be seen on the paths along the Grand Balcon and the approachs to Lac Blanc. They favour the high terrain above the snow line and are excellent climbers. In breeding season you may see males battling one another with their long horns. Once extinct in these parts after being hunted out they were reintroduced from Gran Paradiso National Park in Italy.